These iPhone 5/5S/SE (AT&T, Verizon, & Sprint) cases are in high demand! They allow for unlimited decorating options! Made out of high grade hard plastic (polycarbonate). They are durable and lightweight. 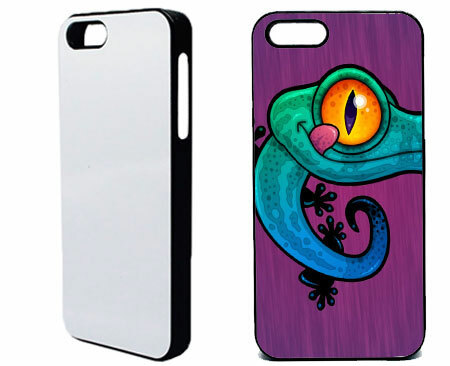 Our iPhone covers come with a sublimation metal insert. The sublimation metal insert has a high gloss for full color imaging. The insert attaches to the back of the case easily with a self-adhesive backing tape. You can also buy extra inserts - See below.